I picked Room up in a bookstore in Dublin, wanting to support Irish authors when there. I could only vaguely remember it being a very hyped up book a few years ago, and that it was shortlisted for the 2010 Man Booker Prize (as the cover gently reminded me). The book didn’t have a blurb, just a few recommendations. Basically my only knowledge of Room was that it was something about a… room? Room is narrated by five year old Jack, that has lived with Ma in Room for his whole life. In Room there is Bed, and Duvet, and Sink. They play Track and Corpse, and in the night Old Nick sometimes visits. Both the strength and the weakness of Room lies in the narration from five year old Jack. On one hand I think it keeps the book from being too gruesome. The nightly visits of Old Nick are only described from the eyes of a young child. 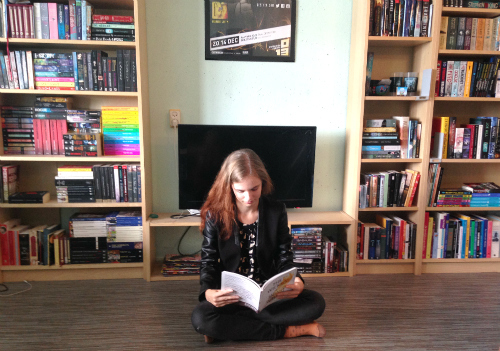 If the abuse had been seen through Ma’s eyes, Room would become too heavy for a lot of readers. That being said, there is still a big element of horror in reading about Jack and Ma’s situation. Reading through other reviews, it’s clear that not everyone has the stomach for this. 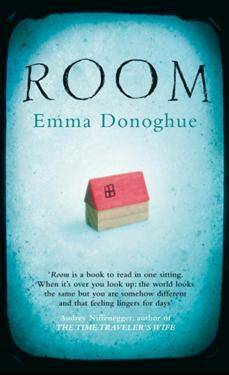 I think Ms Donoghue put a lot of thought in Jack’s voice, and thinking about the way he describes Room I think it was very realistic. At some times though it was clear that it was hard to work within these childish constrains and artifices were needed to tell everything that had to be told. Sometimes Jack’s inner monologue had words in it that were too big, even for a highly intelligent well-spoken boy. Hidden behind the sometimes childish, sometimes uncharacteristically grown up language, there is a lovely, heartbreaking tale of a mother and her son. Room snuck up on me, making me care for the characters. It’s often bleak and terrifying, but there is also hope and a lot of love.